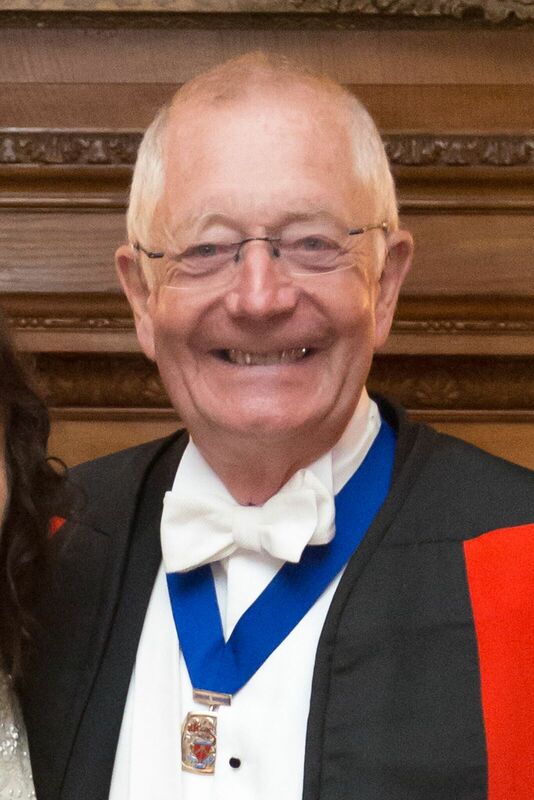 Arthur Seymur FCIOB FFB was born in December 1942, nearly 1943, in Islington, London, and educated at local schools. He became an apprentice electrician at 16, studying Electrical Engineering at college on day release and evenings. After working on building sites etc for 5 years or so Arthur was invited to work ‘in the office’ where he became a designer/assistant supervisor/estimator. After a few years, he left the contracting world and joined the then Ministry of Public Buildings and Works as an electrical designer, working in an office called ‘Survey and Design’ which says it all. Arthur spent many happy years with what became the Property Services Agency, eventually ending up in ‘Historic Buildings’ and during this time he was lucky enough to work in several royal palaces and public buildings. In 1970, at age 27, Arthur co-founded an M and E Consultancy, Butler and Young. The company started very small, with the founders keeping their day jobs and working on B&Y projects evenings and weekends. After a year or so of this the company took the plunge and the founders began working full time for their new company. It was a struggle, but the company began to build a regular list of clients, mainly within the PSA, and started recruiting staff. Over years it diversified into Building Control, Fire Engineering, and other consultancy services. As the firm grew Arthur found himself working more on administration than design and he became the Financial Director of the company. Eventually the company recruited a proper FD and Arthur became chairman of the company, which at this time were employing some 300 staff and turning over about £12M. Arthur finally retired from B&Y in 2006. On a personal note, Arthur was married in 1971, had two children and was then divorced in 1994. He met his present wife shortly after and they were married in 1998. Arthur has two stepsons, a son, a daughter and six grandchildren. When his children were young they spent many happy holidays on the British canals. He then progressed to sailing on the East Coast and ended up a RYA Yachtmaster, spending a few years teaching RYA shore based courses. Arthur now owns a 62 foot canal boat and he and his wife spend lots of time on the canals in their retirement. They also enjoy skiing and have an apartment in Arc1950 in the French Alps. Arthur joined the WCC in about 2000, became a court member in 2005 and Treasurer in 2009. 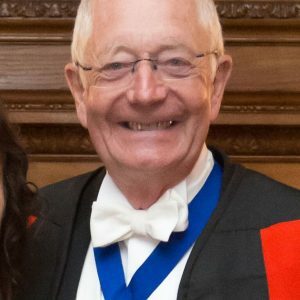 He became Middle Warden in 2018 and hopes to become Master in 2020, God willing.